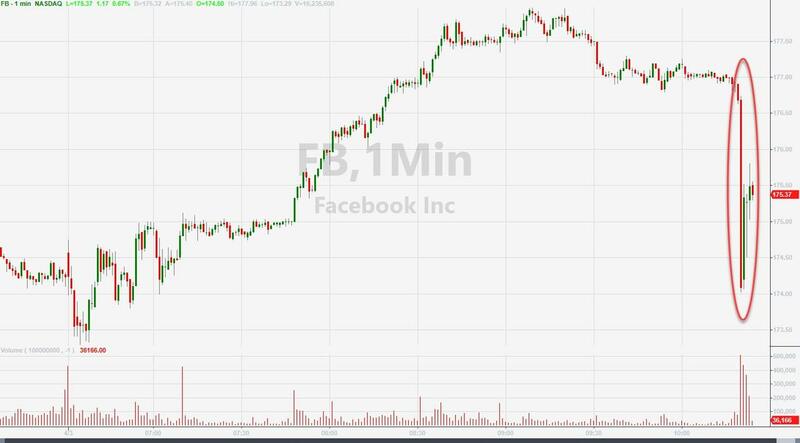 Facebook shares tumbled into the red after Bloomberg reported that user data is still showing up in places it shouldn’t. As Bloomberg reports, researchers at UpGuard, a cybersecurity firm, found troves of user information hiding in plain sight, inadvertently posted publicly on Amazon.com’s cloud computing servers. 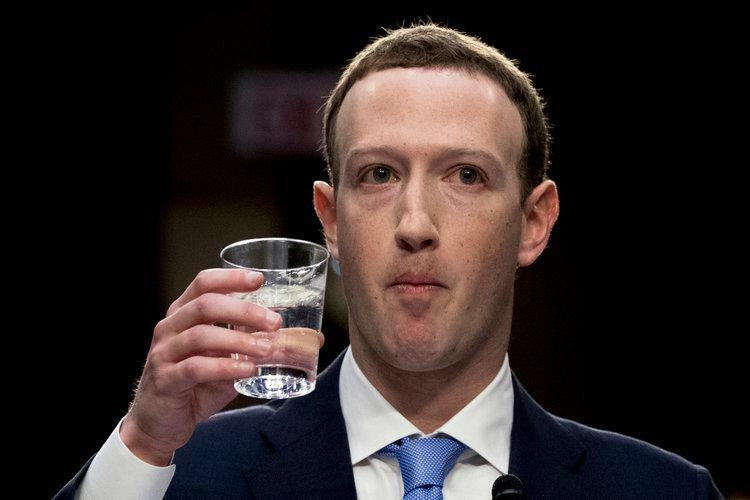 The discovery shows that a year after the Cambridge Analytica scandal exposed how unsecure and widely disseminated Facebook users’ information is online, companies that control that information at every step still haven’t done enough to seal up private data. Coming just days after Zuckerberg urged the government to take over regulating his responsibilities and remove his accountabilities, Bloomberg notes that in one instance, Mexico City-based media company Cultura Colectiva openly stored 540 million records on Facebook users, including identification numbers, comments, reactions and account names. The problem of accidental public storage could be more extensive than those two instances. 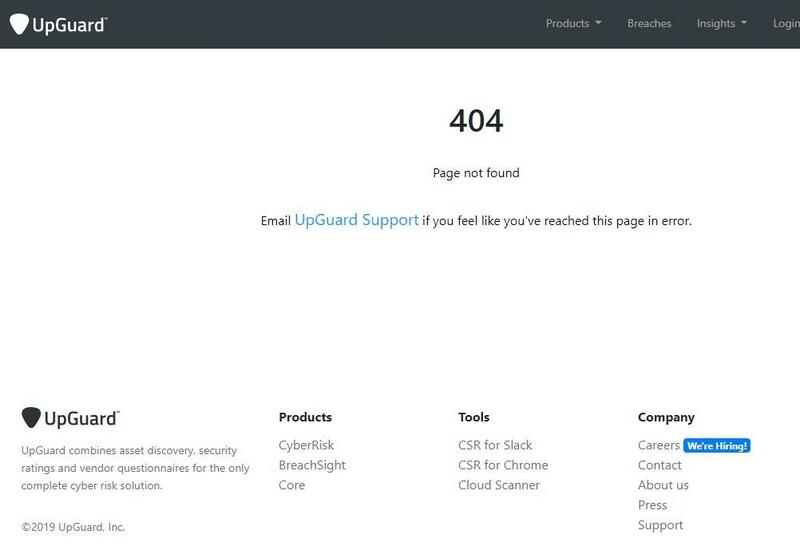 UpGuard found 100,000 open Amazon-hosted databases for various types of data, some of which it expects aren’t supposed to be public. “The public doesn’t realize yet that these high-level systems administrators and developers, the people that are custodians of this data, they are being either risky or lazy or cutting corners,” said Chris Vickery, director of cyber risk research at UpGuard. "Not enough care is being put into the security side of big data." Bloomberg points out that this latest example shows how the data security issues can be amplified by another trend: the transition many companies have made from running operations predominantly in their own data centers to cloud-computing services operated by Amazon, Microsoft, Alphabet’s Google, and others.